Start your home search here. 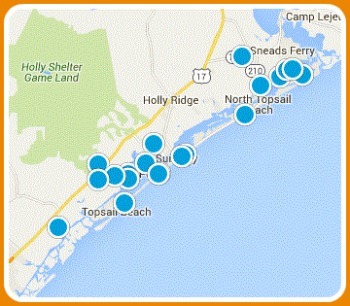 Through our website buyers have access to every property listed in the Topsail Island MLS. Use our premier Advanced Search tool to find properties in Hampstead, North Topsail Beach, Sneads Ferry and throughout the area by the criteria that matters most to you: price, subdivision, waterfront homes and more. Get pre-approved. Knowing how much house you can afford is a crucial step in your home search. Obtaining lender pre-approval for a certain loan amount helps you to narrow your search to homes that fit your budget and shows sellers that you are a serious, qualified buyer. Need recommendations for experienced, reputable lenders? We can help! Know the area. In addition to beautiful beaches, sunny skies, year-round warm weather and plenty of cultural and recreation opportunities, the Topsail Island area is filled with beautiful communities and neighborhoods. Want to know about schools, amenities or commute times? We have all this information and more. Just ask! Put a professional to work for you. Contact Us today for more information about living on Topsail Island, to schedule a tour of any property you find on this site or to find out what your home is worth. 910.328.0613.